Purchasing this item will earn you 3 reward points (Love Point(s) $3.00) ! 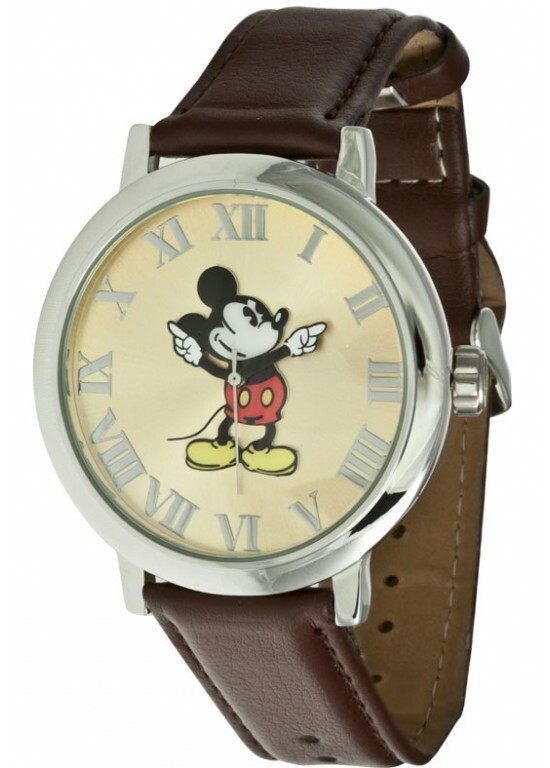 DISNEY IND-26095 is a Unisex watch within the Ingersoll Disney Classic Time, part of the Mickey Mouse Series. This watch has a Round Polished Finish Metal case with a 45mm case diameter. The case back is Polished Finish Metal and the bezel material is Polished Finish Metal. This timepiece also has Quartz movement with 3 hand quartz functionality. This Analog Beige dial features Silver Roman Numerals with Mickey Mouse hands. A Glass crystal protects this DISNEY IND-26095 timepiece. The bracelet of this DISNEY IND-26095 is made of Antique Brown Polyurethane Leather Look. This watch is not water resistant.